HALIFAX, NOVA SCOTIA – (Staff Report with Information from Official NLL News Release) – In 1997, the WNBA launched to great fanfare with the marketing slogan of “Who’s Got Next?” It was a clever campaign, despite the obvious grammatical miscue, as it depicted a popular hoops playground saying that fit quite well with the women’s sports movement, shining brightly after the 1996 Olympic Games in Atlanta. For the sport of indoor lacrosse, National Lacrosse League franchise movement is an issue but the league is working hard to fit strong ownership groups together with loyal and passionate fan bases in large, mid-size and small cities throughout North America. Will it be a brand new franchise for a brand new building that will open next year and be christened by the Golden State Warriors in San Francisco? Might it be the recently renovated and remodeled Nassau Coliseum on Long Island, forever a hotbed for the traditional lacrosse game and a fervent breeding ground for lax players – both male and female – that stock collegiate rosters from Maine to Southern California? The National Lacrosse League, North America’s prominent indoor lacrosse league, recently announced it awarded a franchise to Halifax, Nova Scotia. Curt Styres, the current owner and general manager of the Rochester Knighthawks, will relocate his team and received approval from the NLL Board of Governors. For the upcoming season, Rochester team’s full roster will remain intact and will play at the Blue Cross Arena in Rochester. The first game in Halifax, under a new team name for the 2019-20 season, will be played at Scotiabank Centre in December 2019. In addition, the league announced the sale of the Rochester franchise, inclusive of the brand, to Terry and Kim Pegula starting with the 2019-20 season. They are planning to field an expansion team for the 2019-20 NLL season. “We are very proud to welcome the great city of Halifax, Nova Scotia, as a National Lacrosse League franchise,” said the NLL’s Sakiewicz. “Known as a great events city with a passionate, loyal, and hungry fan base for major league sports, Halifax proved to be an ideal location for our league’s expansion in Canada. The Halifax franchise will begin play during the 2019-20 season at Scotiabank Centre, with many of the players on the current Knighthawks roster. The season will include nine regular season home games, pre-season and playoff games. BOSTON – (Staff Report from Fenway Park) – Boston’s shortstop Xander Bogaerts hit a sharp line-drive double down the left field line in the bottom of the 8th, then stole third base to force the Toronto Blue Jays to bring their infield all the way in with hopes of cutting off the potential go-ahead run. Instead, Blue Jays’ second baseman Yangervis Solarte dropped a Blake Swihart fly ball in short right field and Bogaerts scored the eventual game-winning run as Boston defeated Toronto, 4-3, in the final game of a Red Sox three-game series sweep. The Boston victory did not come easily, as the Blue Jays fought back and scored two runs in the 8th inning to tie the game at 3-all, as Boston relievers, Bobby Poyner and Joe Kelly, struggled to protect the lead. Kelly walked a batter and hit two batters, the latter forcing the game-tying run across the plate. Before the Red Sox’ bullpen meltdown, Boston starter Eduardo Rodriguez had worked 6.0 innings, allowing five hits, one walk with seven strike-outs while throwing an efficient 78 pitches with 52 strikes. He was in position to win his 13th game of the year but did not figure in the decision tonight after Kelly’s blown save. Boston has won 18 of Rodriguez’ 22 starts this season and he remains (12-4) on the year after being sidelined from July 15-September 1st with a right ankle sprain. Boston relied on the long ball for two of their first three runs scored tonight. Rightfielder J.D. Martinez opened the scoring in the 3rd inning with a solo home run, his 41st of the season, coming on a 83 mph 2-2 slider from the right hand of Blue Jays’ starter Sam Gaviglio. Red Sox third baseman Rafael Devers hit a solo homer in the 6th inning to make the score 3-1. Devers replaced starting 3B Eduardo Nunez in the 4th inning after Nunez experienced right knee soreness after getting on base with a single. Toronto’s shortstop Lourdes Gurriel scored two of the Blue Jays’ runs, crossing the plate in the 3rd inning after a Justin Smoak RBI single and also scoring via his solo home run in the 8th. Gurriel went 2-for-4 on the night. Craig Kimbrel earned his 40th save of the season when he retired Toronto in order win the 9th inning. Boston’s Brandon Workman (5-0) was credited with the victory while Blue Jays reliever Danny Barnes took the loss. He is (3-3). Kimbrel reached the 40-save mark for the fifth time in his career. Boston is now a league-leading 101-46, and 10.5 games ahead of the New York Yankees in the AL East. GAME NOTES: Boston’s “magic number” to clinch the American League East is now 6. … This is the third consecutive season the Red Sox have earned a postseason berth, matching the longest streaks in franchise history (2003-05) and (2007-09). … Toronto’s Yangervis Solarte played his 4th game since being reactivated from the DL (right oblique strain). Solarte missed 26 games from August 12th to September 8th and the Blue Jays went 12-14 in that stretch. … Toronto’s Double-A minor league affiliate, the New Hampshire Fisher Cats, took a 2-0 lead in the Eastern League Championship Series vs. Akron Rubber Ducks last night and can wrap-up the title on Friday. Fisher Cats RHP Jon Harris limited Akron to one run on five hits in 6.1 innings last night. 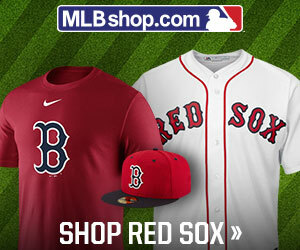 … The New York Mets will travel to Boston for a three-game weekend set of interleague play against the Red Sox. Friday’s 7:10pm start will pit NYM ace Noah Syndergaard (11-3, 3.44 ERA) against Boston’s Hector Velazquez (7-2, 3.29 ERA). … The weekend brings two afternoon games, as Boston’s Rick Porcello (16-7, 4.27 ERA) faces a pitcher to be named later by the Mets for a 4:05pm start while Sunday’s 1:05pm start will see Boston’s Chris Sale (12-4, 1.96 ERA) throw against New York’s Jacob deGrom (8-9. 1.71 ERA).